We had been traveling through Eastern Europe for two weeks, and I hadn’t been able to stop talking about swimming. 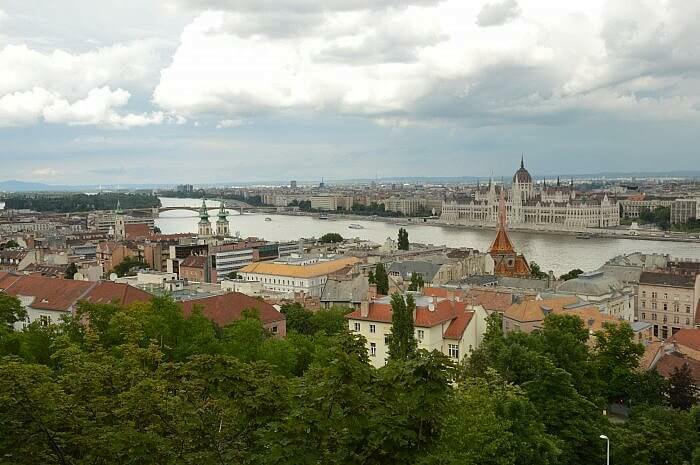 In fact, it had gone back even further: ever since we had started talking about traveling through Eastern Europe, I had been talking about swimming. 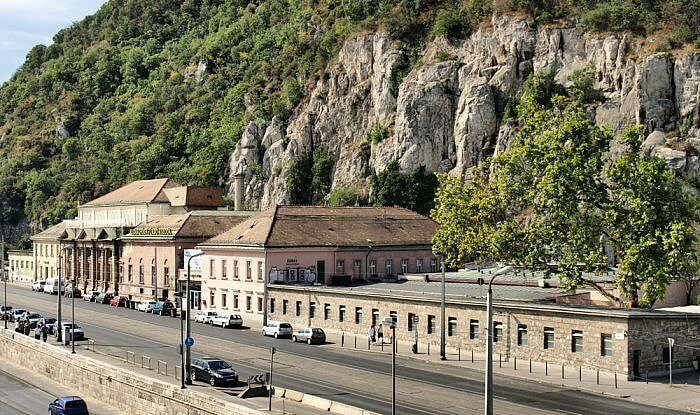 There were only things on my itinerary: 1) eat some Hungarian paprikash (I didn’t care where, as long as I ate it); and 2) go to a Hungarian bath house and swim in all of the pools. 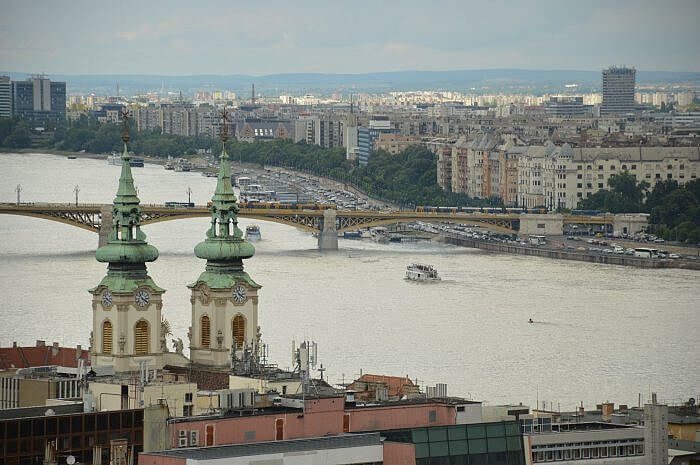 If I didn’t swim in Hungary, whose natural underwater springs have attracted pool-lovers for centuries, I was ready to declare the trip a botched experiment. It’s probably worth noting that I grew up obsessed with swimming, spending my summers hanging out in the pool with my dad and competing on our local swim team. When I think back to those summers, I think of my hair pulled into a tight bun under a swim cap, my skin dry from the chlorine-heavy pool water, and I think of floating in the shallow end, practicing how long I could hold my breath under water. Of course, I know that swimming in a neighborhood pool as a kid and soaking in a thermal bath are different things, but the essence is the same: you put your body in some water. 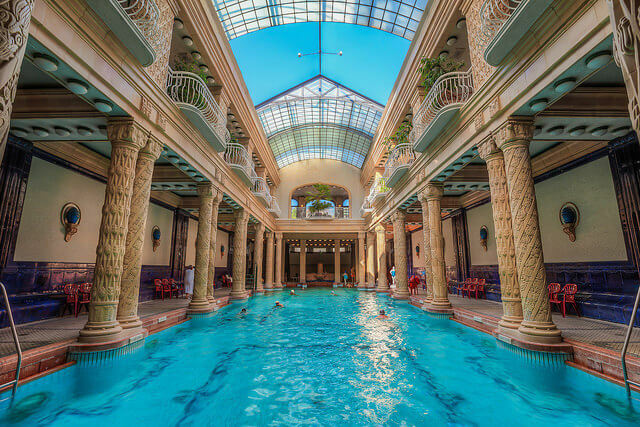 Plus, most of Hungary’s bath houses have large Olympic-sized pools in addition to the smaller thermal baths. 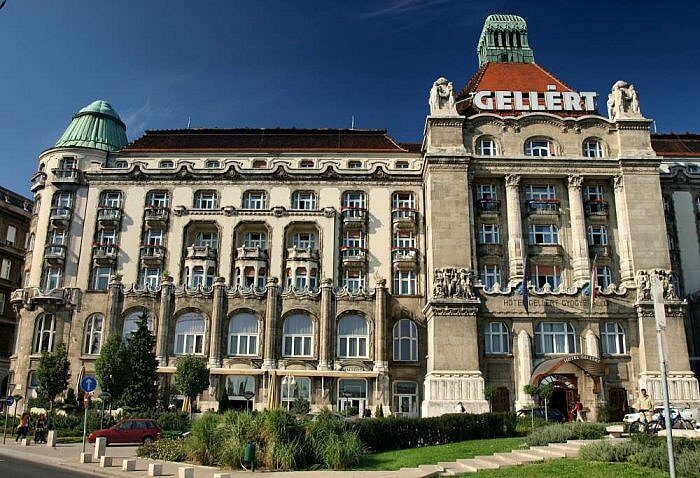 When we got to Budapest, I first decided to stay away from Gellért, whose history rightfully makes it the most crowded bath house in the city. Its underground springs were first channeled into spa baths by Roman settlers, then adopted by the Knights of St. John in the 12th century, then reclaimed by the Turks in the 16th century, and then revived by the holistic medicine industry in the 19th-20th centuries. Not to mention it’s also beautiful—the whole place looks like a Baroque castle inside. Instead, I chose the slightly lesser-known Rudas, a bath that is also pretty historic—it was first built the mid 16th-century by the Turks (apparently the Ottoman Empire shared my love of swimming?). Rudas, however, had some surprises up its sleeve. The entire line of people leading up to the front door, at least 20 bodies deep, was all men. Burly, dark-haired, Hungarian men, chattering away in Hungarian, sipping coffee, and wearing form-fitting swimming costumes. Standing there, my blonde hair in a tousled bun, flipflops on my feet, a big smile on my face, I realized I’d made a critical error. A grumpy man at the register pointed to a sign, which, thankfully, was also translated to English: Women’s day, apparently, was Tuesday. All the other days of the week—Monday, Wednesday, Thursday, and Friday—were for men, who I’d later learn hang out in their swimming briefs, sit in the pools, and do business dealings. Feeling deflated but also relieved I wouldn’t be caught in the middle of a business meeting, I traipsed back down the street to Gellért, paid the entry fee, changed into my suit in an overcrowded locker room, and marveled at the walls, the columns, and the very blue pools. I soaked for a few minutes and then ran outside, where I jumped into the giant outdoor pool and paddled back and forth in the cool, clear water until I was exhausted. Article and photographs by Kristin Winet. 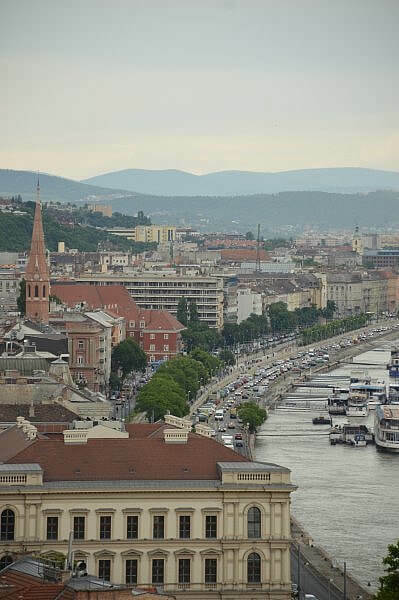 A special thanks to Viking River Cruises for sponsoring her trip and introducing her to Budapest. Kristin Winet is an award-winning travel writer, blogger, and novice shutterbug who just moved to Winter Park, Florida after spending eight years in the Sonoran Desert and one year in Los Angeles. In addition to corresponding around the globe for the likes of Atlas Obscura, blogging as herself on Bon Touriste, and writing a fun monthly column about travel for EVA Air's in-flight magazine, she's been featured various places online and in print and teaches a variety of writing courses at beautiful Rollins College. Say the words culture, adventure, good food, good wine, or good company, and she’s packed (with a good book in tow, no less). Get in touch with her at [email protected]!